Alpha Chi Sigma has a long history of chapter mentorship. Take a look at our family tree! it's members with a tie of true and lasting Friendship. it's members by every honorable means in the attainment of their ambitions as chemists throughout their mortal lives. The purposes of Alpha Chi Sigma are reflected in the three Objects of the Fraternity, which express the ideals of all its members. Alpha Chi Sigma is a one of a kind professional organization. Following the original concept for a fraternity as an academic organization, we are the only Professional Chemistry Fraternity. Over 100 years old and with over 56,000 members, we bring together men and women pursuing chemistry-related careers. Our past is prestigious. Not only are many of our members world-class scientists and engineers, but we also sponsor a variety of scholarships and awards. Notable are the ACS Award in Pure Chemistry and the AIChE Award in Chemical Engineering. With our involvement in other chemistry and chemical engineering professional organizations, our members are a sort of bridge between these various organizations. Collegiate members benefit from a local group to not only help with their studies, but also projects which teach the roles of leadership and management, invaluable in their careers. We also provide an opportunity to create lifelong friendships with others interested in chemistry. Sometimes it's just nice to walk into a room and be able to tell a chemistry joke. Our organization goes a step further. Actually many steps, as membership is for life. As a Professional member, further opportunities for meeting other members can help with your employment, hiring, and relaxation. 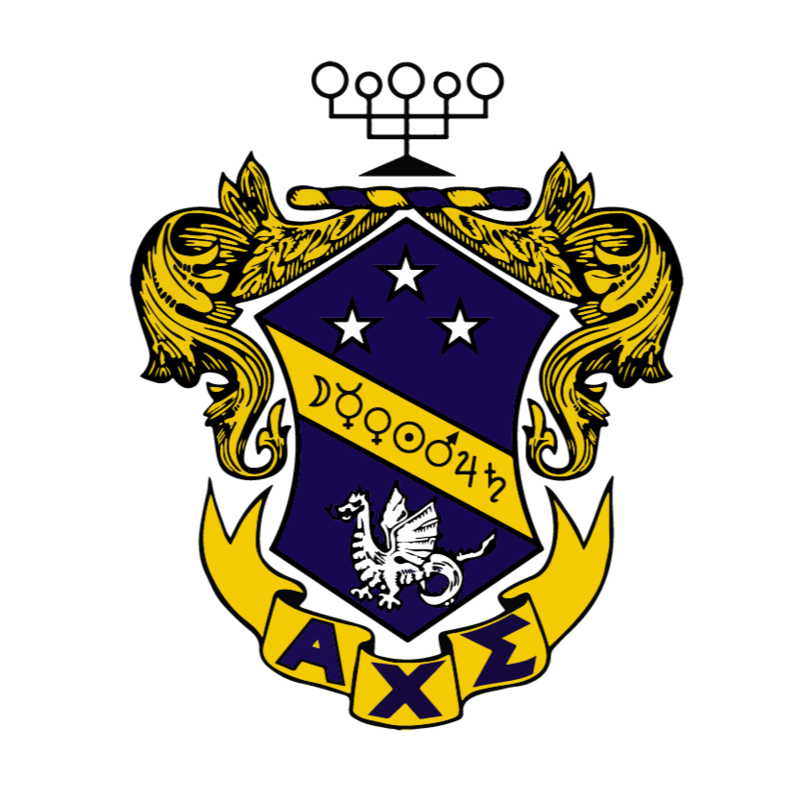 Alpha Chi Sigma brings together a unique mix of people. Our Professional members appreciate meeting others involved in chemistry outside of their workplaces and often outside of their field of work. Purely professional organizations such as the American Chemical Society and the American Institute of Chemical Engineers have their place, and Alpha Chi Sigma constantly encourages its members to become active in these organizations. Social fraternities also offer much to the student, but only a professional fraternity—and Alpha Chi Sigma is the only national professional chemistry fraternity in the United States—can provide the college student and the professional in chemistry and related fields with the interests and bonds of a fraternity.